From the 10th London ed., corr. and enl. of "A memoir of Rev. Henry Martyn ...". 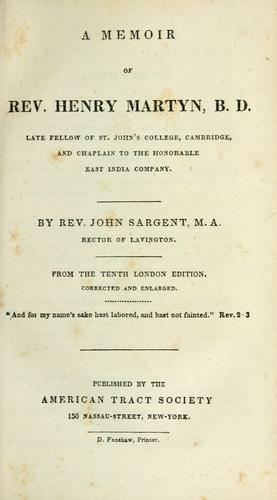 Publisher: The Evangelical family library, v.8. "The Evangelical family library, v.8" serie. The FB Reader service executes searching for the e-book "A memoir of Rev. 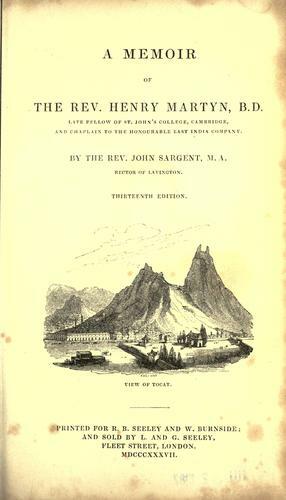 Henry Martyn …" to provide you with the opportunity to download it for free. Click the appropriate button to start searching the book to get it in the format you are interested in.